The Indian Lounge, Winter Gardens, Blackpool c1900. Situated next to the Empress Ballroom. It was designed by J.M. 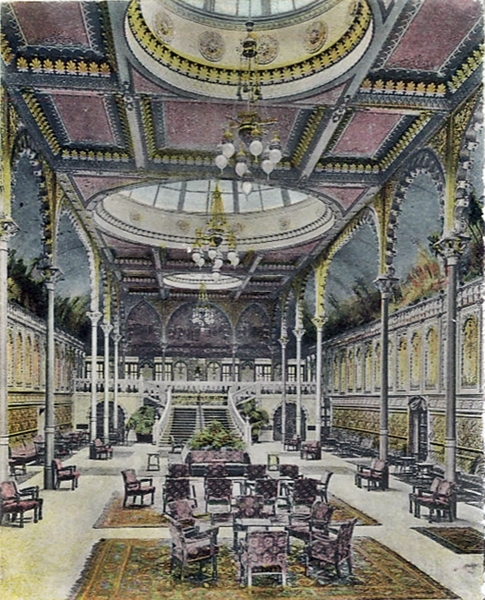 Boekbinder and opened in 1896. In 1964 it was converted into a caberet bar called 'The Planet Room' and c1989 it was converted into 'The Arena'. 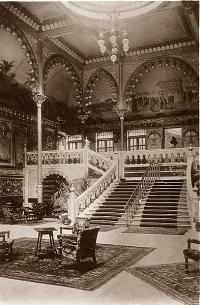 The Indian Lounge, Winter Gardens, Blackpool c1905.